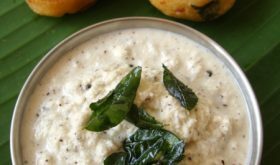 Hotel style coconut chutney that makes for a delectable side with idli and dosa and most South Indian tiffins. We make coconut chutney at home often, twice a week at least. 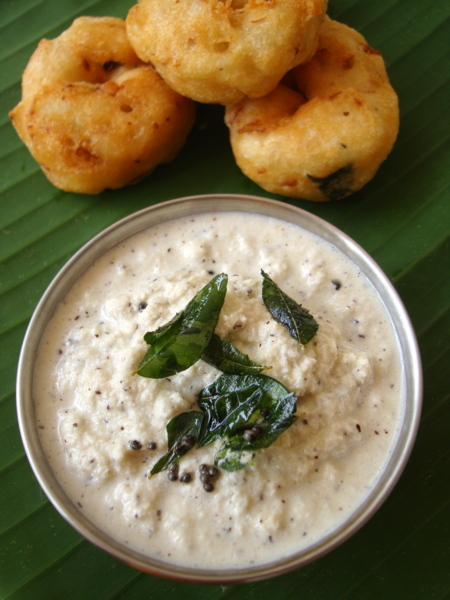 Satish relishes a hotel style coconut chutney recipe that I prepare. 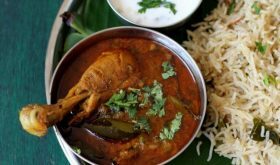 Its only recently that I chanced upon this recipe thanks to my aunt who made it on a visit to her home. 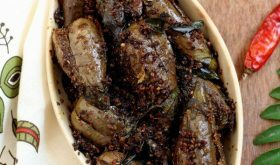 I am not sure of its origins but this recipe is a WINNER and am sure you are going to love it. 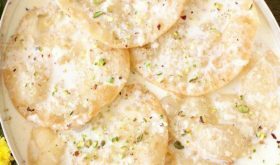 The key is use fresh coconut gratings and not to go over board with the spices. Subtly spiced and tempering with curry leaves gives the coconut chutney all the charm it needs to be your favorite side with dosa and idli. Grind fresh coconut, roasted chickpeas, green chilies, ginger, garlic and salt to a smooth paste adding very little water. Remove onto a serving bowl. Heat oil for tempering in a small pan. Add mustard seeds and allow to splutter. Add curry leaves and turn off heat. Pour the tempering over the chutney. 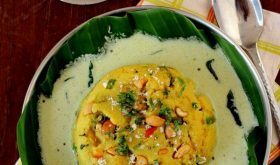 Serve this hotel style coconut chutney along side idli or dosa. Fresh coconut is essential for the best flavor. Scrape out the outer brown layer of the coconut for a white colored coconut chutney. By Sailu Published: June 27, 2012 Hotel style coconut chutney recipe - Subtly spiced and tempering with curry leaves gives the coconut chutney all the charm it needs to be your favorite side with dosa and idli. Omg, i can have two more idlis with this chutney. I love cocnut chutney.. I make it exactly this way but I add coriander leaves to it as well.. If u after grinding all ingredients add little coconut milk, it will be very tasty. The best food is often the simplest or so it seems with this recipe. Thanks for sharing! 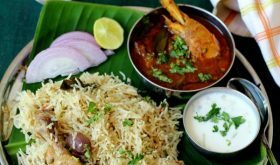 this is so amazing dish…..
Can I use store bought grated coconut? Good one. You should have quick recipe list.